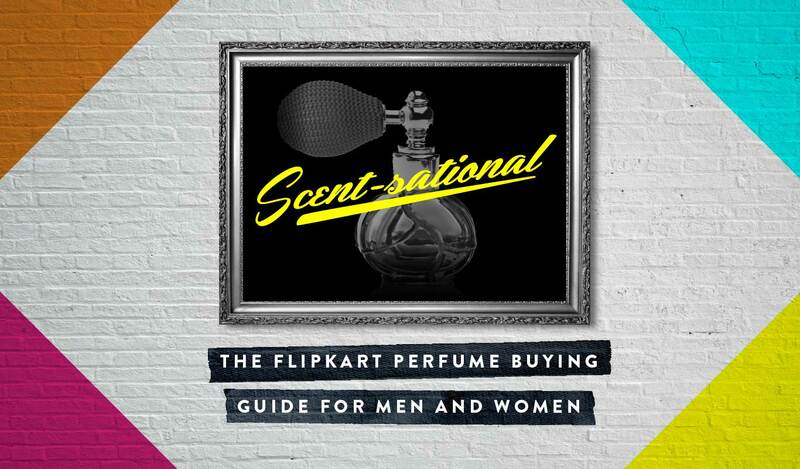 Home Infographics This Flipkart perfume buying guide is scent-sational! Buying your favorite perfume is simple. Choosing the perfume that suits you is tricky. To make the right choice every time while selecting your perfume, you must know the basics of what makes a fragrance smell the way it does. Furthermore, you need to be sure how the perfume will react with your own body to produce that unique ‘you’ smell. Get this chemistry right and you’re on your way to smelling good and feeling great. Thankfully, perfume buying is not rocket science. Here’s all the help you need to select your perfume while shopping on Flipkart. Bookmark and read this perfume buying guide for men and women. And you will make the right choice every time. Getting your perfume just right can leave a significant impression on the people you meet. However, finding that right fragrance isn’t always easy. So many questions pop into your mind: Should my fragrance choice be driven only by smell? Should it be influenced by how I feel and what I stand for? Should I go fruity and floral, or opt for something muskier? To help you pick the very best perfume, here’s a handy infographic. Know your fragrance family: Fragrances are classified into different ‘families’ according to their predominant scent characteristics. While some individual elements tend to cross over for men and women, there are definite fragrance families that are considered feminine or masculine. Floral: Think a bouquet of freshly cut flowers to imagine the floral family. One of the most widely used in women’s perfumes, the floral note can be enriched with fruity or spicy hints. Citrus: Characterized by freshness and lightness, this family is composed of scents like bergamot, lemon, orange, tangerine and grapefruit, to which more feminine notes (flowers, fruits and chypre) are added. Chypre: Based on a woody, citrus and floral combination that lacks the sweetness of the other families, chypre fragrances often contain the sultry scent of sandalwood, the earthiness of patchouli and the dry scent of oakmoss. Oriental: Perfumes from this family are daring and bold, warm and sensual. Drawing on the rich and ancient cultures of Egypt, India, Persia and Arabia for inspiration, oriental perfumes are created using spicy and heady ingredients like musk, vanilla, sandalwood, tonka bean, incense and ambergris. Aromatic: Sage, rosemary, thyme and clove are but some of the herbs and spices that produce an aromatic fragrance, usually complemented with citrus and spicy notes. Citrus: Characterized by their freshness and lightness, the masculine character comes from the frequently strong presence of aromatic and spicy notes. Oriental: Oriental perfumes for men draw their richness and sophistication from precious substances such as amber, resin, tobacco, spices, exotic woods and animal notes. Woody: This family brings together perfumes that are warm, dry and opulent, based on woody scents such as sandalwood, patchouli, cedar or vetiver. They’re earthy and musky to the nose and while they do settle on your skin, their heady aroma will linger way past last orders! Does your perfume suit your lifestyle? Choosing the right perfume is a deeply personal, individual experience. Picking a fragrance that you like is only half the work. Did you know that your fragrance should also suit your lifestyle and your personality? Here’s a little help to save you time while browsing the exhaustive range of perfumes on Flipkart. We’ve picked four personalities and matched them with the perfumes they suit best. For the party animal: Like to party into the wee hours and do it in style? Do people find you cheerful, energizing and stimulating? These fresh fragrances will match your fun and flirty approach to life! For the outdoor adventurer: Are you a fitness freak? Do you like to jog early in the morning? Do you love nature and to spend time on outdoorsy activities like hiking and riding? These earthy, woody scents will suit you perfectly. For the dark horse: Are you confident in a subtle way and just a wee bit mysterious? Don’t open up to people quickly? The deep, rich scents of oriental fragrances are perfect for you! For the trendsetter: Is your signature style elegant and high-end? 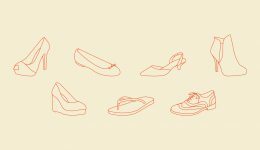 Does your penchant for the latest trends catch everyone’s eye? These classic and chic floral fragrances will surely tempt you. Every scent has three notes — the top note, middle (or heart) note, and base note. These are three distinct but coordinated levels of fragrance that gradually develop as the perfume remains on your skin. The top note is the fragrance that you smell as soon as you apply a perfume. It lasts for 10 to 20 minutes only before giving way to the middle note. The heart notes disappear after 20 minutes or so. What remains are the base notes, which will remain on your skin for the next 12 hours or so. So when you’re reading about your perfume’s concentration, pay most attention to all the notes, and especially the base notes. Parfum: A scent that’s richer and complex, with 15 to 25 percent perfume oil. Parfum is really for the evenings and special occasions rather than for everyday use. Eau de parfum: Fragrances that most people consider to be ‘perfume’, clocking in between 10 and 15 percent perfume oil. Apply lightly for day, and more generously when you’re dressing up. Eau de toilette: A lighter scent with less than 10 percent perfume oil. Ideal for work or for that big interview. Eau de cologne: Meant for both men and women with 2%–4% perfume oil. Great for a wake-up splash in the morning or a cool-down in the day. Looking for a lighter scent for warm weather or inoffensive every-day wear? You can also choose from deodorants and body mists or even scented soaps and body lotions, all of which have lower quantities of perfume oil. Does your scent match the season? For a cool and breezy summer: Summer is all about fresh and invigorating fragrances that are meant to make you feel calm and cool. Wearing fresh (like an ‘ocean breeze’ type of scent) or citrusy perfumes will actually make you feel cooler during the hottest day. To warm you up in winters: Come winter and it’s time to go for fragrances exuding some much-needed heat. Perfumes with woody notes work well for winter months. For a mood lift in the monsoon: Buying the right fragrance for rainy days makes all the difference between smelling divine or unpleasant like a wet rag. Opt for perfumes with lighter spicy notes in the monsoon. Oriental scents with cinnamon and spice undertones are warming but not overly heavy, making them perfect for wetter days. You may be aware that you have your own distinctive body chemistry, which depends on a variety of factors such as hormones, diet and health. But did you know that perfumes mix with your body’s natural aroma in a chemical reaction, resulting in either an enhanced, neutral or unpleasant smell? Your skin’s pH balance also affects both fragrance quality and effectiveness. For oily skin: If you have naturally oily skin, you’re in luck! The more oily your skin, the more oil the perfume has to cling to, and last longer with. Opt for perfumes with volatile citrus notes such as lemon and zesty orange. For dry skin: If your skin is dry, the scent will dissipate more quickly. So opt for an essence that is warm and intense such as in winter perfumes. These fragrances are stronger and can last longer in drier, colder season. This reduces your need for frequent reapplication. For sensitive skin: When it comes to buying cologne for sensitive skin, follow the same rules for dry skin, but also look for perfumes that list all-natural ingredients free from synthetic fragrances. Now that you’re in the know, browse Flipkart’s exhaustive collection for a perfume that’s a perfect match to your personality and need. Use our specially designed filters for fragrance family and classification. Authentic perfumes at affordable prices! Worried about fake perfumes online? Flipkart Assured, straight-from-the-brand products and a host of initiatives address all your olfactory apprehensions. next What's your USB? Pick a pen drive to suit your personality!